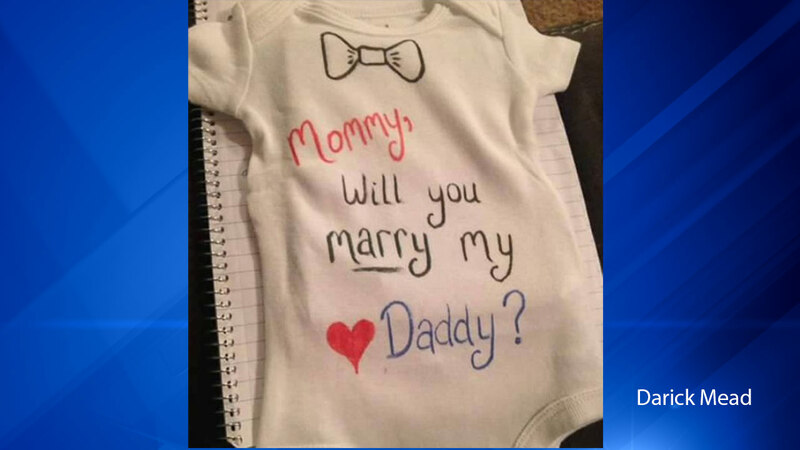 A Nebraska man got a little help from his newborn son to propose to his girlfriend, ABC News reports. Darick Mead, 26, has been in a relationship with Susan Medina, 20, for a year-and-a-half after meeting on MeetMe.com. Mead said he didn't want to propose to Medina while she was pregnant with the couple's first child, but instead planned to propose on the same day of their son's birth. However, not all went according to plan and Mead decided to wait until the day after his son, Ryder, was born, in order to give Medina a break after being in labor. "She was in labor for over 17 hours and she pushed for two-and-a-half hours," Mead told ABC News. 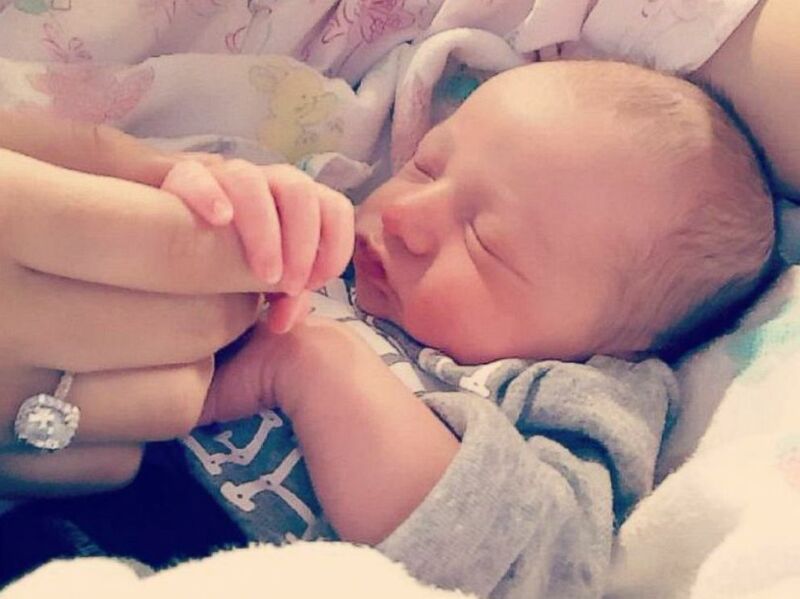 "Three epidurals later and ... Ryder was born via emergency C-section." Mead didn't tell anyone about his plans except the couple's friend Katie, who procured a onesie with the words, "Mommy, will you marry my daddy?" After managing to get Medina out of the hospital room, Mead put the onesie on Ryder and told Medina the nurses wanted her to practice changing his diaper. As Medina began unwrapping Ryder, Mead dropped down to one knee. "I don't even remember what exactly I was feeling. I just know that I started crying out of nowhere," Medina told ABC News. "I did not expect that to happen." 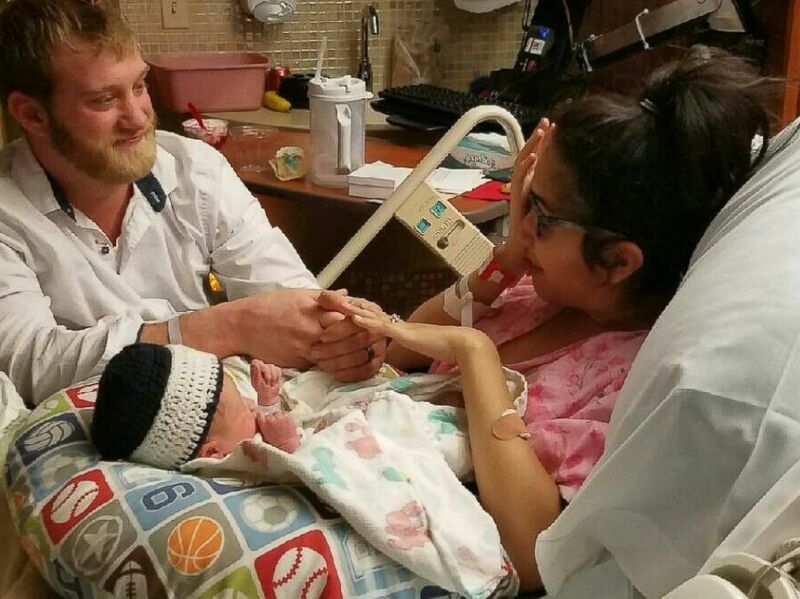 Darick Mead and Susan Medina with their newborn son. The couple said they haven't begun planning their wedding yet. "I've got everything that I could ever ask for right now," Mead said.